Toronto’s University Settlement House, by the Grange, recently celebrated its 100th anniversary. St. Chris House, in the west end, has also reached the century mark. Not far away, Central Neighbourhood House, founded by students from University of Toronto, has also celebrated 100. Also, in the downtown core, Dixon Hall is eighty and St. Stephen‘s is fifty. Reputedly named after Reverend Wood and Reverend Green, WoodGreen, where I work in the east end, has just turned 75 years old. Each of these neighbourhood centres cluster in the centre of city, reflecting the downtown area’s history as a place where new immigrants and low-income lived. As demographics have shifted and need has spread, other neighbourhood centres – and community hubs – have emerged across the city. Over these decades, these centres opened their doors, drawing on a model from 19th century Great Britain called a Settlement House. More than charitable service organizations that focus on individual needs, settlement houses emerged from wider ideals of social justice. Settlement referred not to, in the modern sense, of working with immigrants, but rather to a call to university-educated young people to settle in poor neighbourhoods, bring their talents to bear on local problems. In a sense, settlement houses worked to ensure the intellectual and social capital of a neighbourhood were not stripped away. They also preserved the idea of social contract between rich and poor. 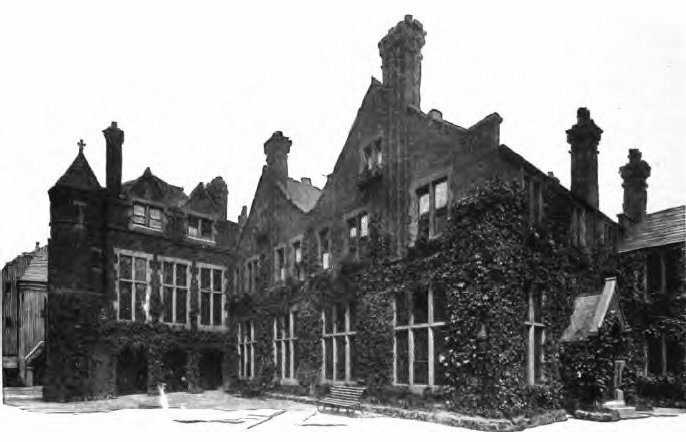 Most settlement houses enjoyed the patronage of wealthy donors. Wrap-around services: As multi-service organizations, neighbourhood centres are able to address the various needs clients have. Need a job? food? compantionship? housing? They have it all. Dixon Hall, for instance, defines itself by its multi-service approach. On-the-ground knowledge: Neighbourhood houses have also acted as early warning systems. Some of urbanist Jane Jacob’s critique of the “towers in the park” emerged from New York contemporary and settlement house social worker Ellen Lurie, who tracked what happened to her clients who were being moved into this newer form of public housing from their old neighbourhoods. Even now, seeing the changes in its neighbourhood, St Chris House sparked the research into how gentrification was changing their downtown neighbourhood, leading eventually to the Three Cities report by David Hulchanski. After hearing more and more stories from the sector, WoodGreen supported a fight for permanent funding to control bed bugs. Commitment to creating opportunity at the individual and system level: Recognizing that charity work and case management would not create the systemic change needed to end poverty, advocacy and community development became a core part of centres’ work. Childcare, youth programs, and adult literacy programs were all staples of early programming. University Settlement House’s Music and Art program was established in 1921. Later decades would see these social programs adopted and funded by governments at all levels. In more recent times, St. Chris House led the cross-sectoral policy table, MISWAA, which examined income supports for working age adults. In short, it’s about social justice. Innovation: Because they are alert to changes and are able to bring a wide set of services to any social problems, neighbourhood centres also act as incubators, creating solutions to complex problems. WoodGreen, for instance, partnered with the Toronto District School Board to create the first seamless, full-day kindergarten class at Bruce Public School. Community building: Early neighbourhood centres were the original community hubs creating links across difference, strengthening local community. St. Stephen’s Resolution program actively in neighbourhood disputes, and has trained hundreds to do dispute resolution. Multiple ages walk through their doors and learn about each other. Free, non-commercial space is increasingly precious. The community hubs springing up across the city are based on these same community development principles. Place-based approaches to problems sometimes work better than those which work with only specific client populations. Settlement houses, neighbourhood centres, community hubs — whatever you call them — seem a tradition worth celebrating.